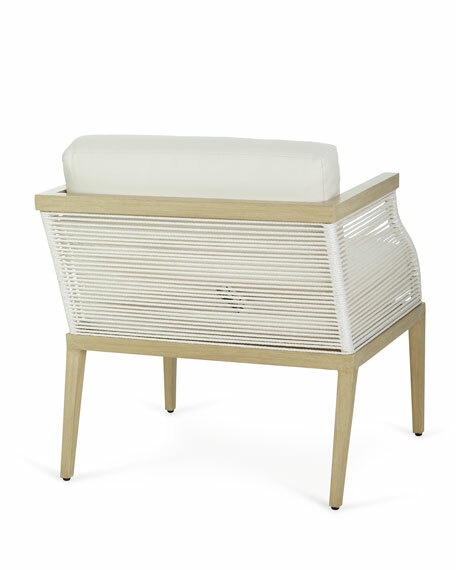 Metal frame in hazelwood finish with hand woven white synthetic rope. 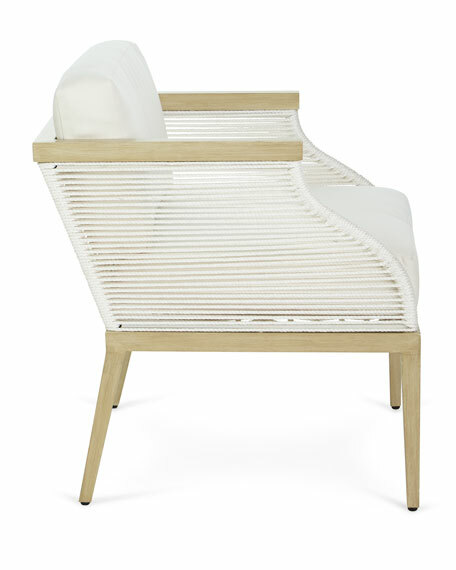 Outdoor lounge chair with woven rope arms. 29.5"W x 29.8"D x 28.8"T.
Boxed weight, approximately 56 lbs.